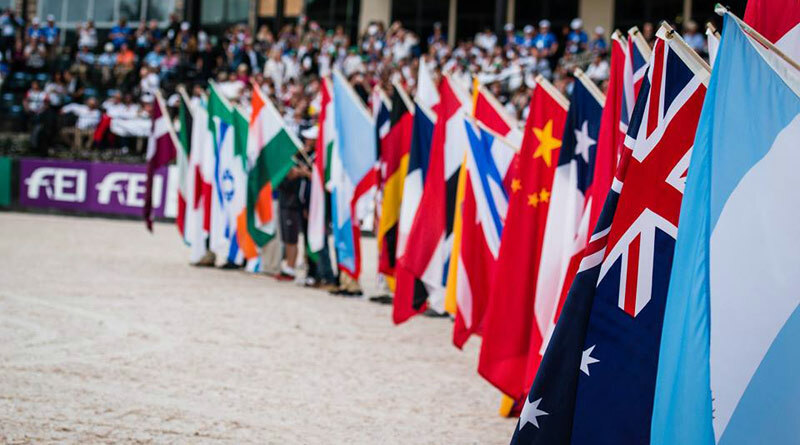 Countries from four continents have expressed interest in hosting FEI World Championships events in 2022, with representatives from 20 countries and 30 venues meeting at FEI headquarters for a workshop. At the interactive workshop representatives from countries submitting expressions of interest were briefed on the benefits of hosting FEI such events, including the economic impact on the host city and country, operational requirements, commercial opportunities, and broadcast media rights and event promotion. They also learned about support from the FEI’s team of experts across key functional areas, and the bidding process itself. Delegates from Europe, North and South America and Asia attended the workshop in Lausanne, a first for the FEI. “It is extremely encouraging to have received so many expressions of interest to host the FEI world championships 2022,” FEI President Ingmar De Vos said. Following the workshop late last month, which was attended by more than 70 delegates, the process now enters the Candidate Phase, with a June 7 deadline for the submission of formal bids. A shortlist of candidates will then be drawn up by the end of June, with a draft host agreement provided to each of the shortlisted candidates. Deadline for receipt of host agreements signed by both the candidate and relevant National Federation is mid-September, with candidates potentially being asked to present their bids to the FEI Evaluation Commission over the following month. Final evaluation of all shortlisted bids will be completed by the end of October, with recommendations provided to the FEI Board before allocation at the in-person Board meeting in Moscow in mid-November. The FEI World Championships have a long heritage, dating back to 1953 when the first jumping championships were held in Paris. The inaugural world championships in dressage and eventing were both staged in 1966, with dressage in Bern, Switzerland, and eventing at Burghley in Britain. Other FEI-governed disciplines followed. In 1990, world championships in each of the FEI disciplines were combined and the FEI World Equestrian Games were born in Stockholm, Sweden, in 1990. Despite having two previous bidding rounds for the FEI World Equestrian Games 2022, no realistic bids were received and, as a result, the FEI Board last November unanimously approved the opening of a bidding process for individual world championships in all disciplines for 2022, with preference being given to multi-discipline bids. It was agreed that world championships for Dressage and Para Dressage should ideally be combined, and bids to host the full seven-discipline FEI World Equestrian Games will also be considered. The world championships 2022 in the Olympic and Paralympic disciplines will serve as qualifiers for the Paris 2024 Games.